"CQ M6ESV IO92" I call CQ appending the first 4 characters of my locator square. "G1ABC M6ESV 73" Normal etiquette says that we should both respond 73 but this doesn't always happen! The highly structured approach appeals to me as does the enormous distances that this band allows with minimal power (Foundation licensees in the UK are limited to 10w). My first time "playing" with this mode was quite late at night and I had just got the software setup (I thought correctly) and sent a CQ on the recommend 40M frequency of 7.076Mhz, To my amazement, I received a response from an "N" prefix station. I tried to respond but unfortunately seemed to be suffering with RF problems on 40M and the software crashed, dammit! When I got the software restarted and reduced power to 5w, he had gone so thoroughly dejected, I went to bed! As the following day was a Saturday, I was able to spend much of the morning and made many JT65a contacts on 20m. Many of the contacts were Russia and other Eastern European countries with Italy and Norway thrown in. So far many of the same countries that I had already "worked" with Phone or PSK31 so nothing too earth shattering. It wasn't until the following day, Sunday where I was determined to earn my eSQL.cc eDX award for 25 countries worked (mixed modes). Many of the same countries as Saturday were appearing and then at about 14:30 I saw a CQ from a BG6 station. It wasn't a prefix that I recognised so I hit reply and then changed windows to see where it was. Imagine my amazement when I discovered the prefix was China and their locator indicated that they were over 5,500 miles away from me. I was even more amazed when they responded with a "-16" report for me! This contact was quickly followed by one with a BD6 station (about 5,000 miles). I received a reply from a third Chinese station but they never confirmed receipt of my signal report so I assumed that the atmospheric conditional that had allowed these exchanges to take place had shifted. Later that same afternoon I also had contacts with stations in 3 seperate US States, Brazil and Canada. 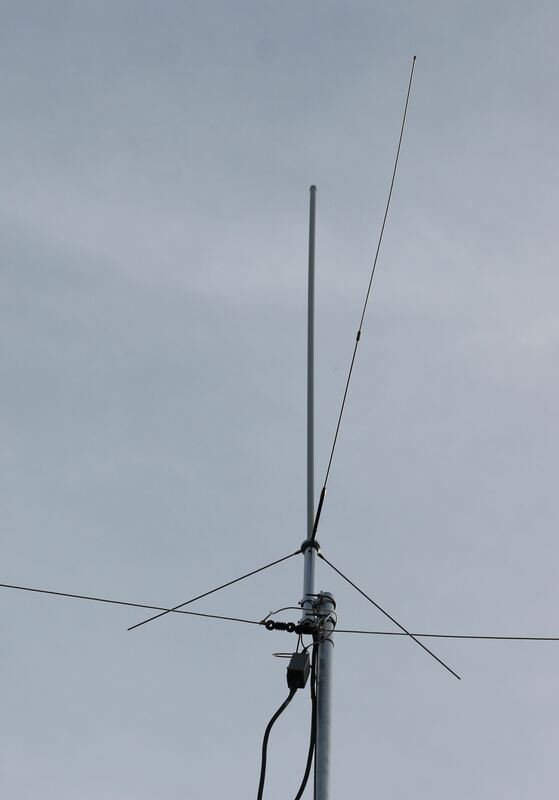 Not bad with 10w into a homemade OCF dipole with a cheap 4:1 voltage balun (the suspected cause of the RF in the shack). I have since discovered JT9 and plan to have a play with this so hopefully will see even more far flung places.